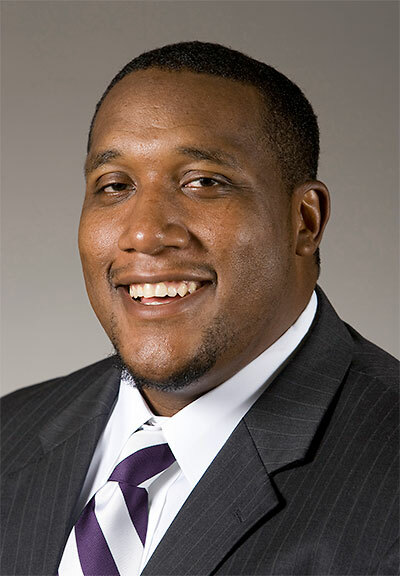 Since the sudden departure of previous Athletic Director Josh Brooks in December, the Millsaps Athletic Department has been scrambling to find a new leader. While Coach Jamie Fisher (women’s volleyball) and Coach Tim Wise (men’s basketball) shared the shoes of AD this semester, a new figure is finally set to control athletics at Millsaps College. Donald (Donnie) Brooks will officially take his place as athletic director on May 2. Before his arrival on campus, The Purple and White wanted the get the first word from Brooks via email. The Purple and White: Give us some background about yourself. Where are you from? What is your current job? Donnie Brooks: Originally [I am] from Houston, Texas. I am a former [Division III] athlete at Springfield College [in Massachusetts]. And a DIII coach at Springfield and Williams. I spent the past five years at Dartmouth College as the assistant AD for peak performance. P&W: Why did you decide to accept the athletic director position here at Millsaps? DB: My dream for many years was to become the director of athletics at a DIII institution. I have grown to love the small liberal arts college and Millsaps was a perfect fit. I am a relatively young director, and I was really drawn to President Pearigen and Dean Katz’s leadership styles and the fact that they value developing and investing in young leaders… I believe in the direction Millsaps is heading and want to be a part of Millsaps’ pursuit of excellence. P&W: What are you most excited about for your first semester at Millsaps? DB: I’m excited about several things, but primarily to see the Majors in action. Although I no longer coach, I still enjoy going out to practices, meeting athletes and watching the culmination of a work week on fall Saturday afternoon[s]. I am also ready to immerse myself and my family into the college community. I look to work hard to advance athletics, but also to engage in a variety of areas across campus. P&W: Is there anything in particular you want to implement as the new AD? DB: It’s hard to say at this point. I still have a long list of constituents to talk to before deciding what’s most important. P&W: What are some traits/ideas you will bring to the Millsaps community? DB: I had a great experience as a Division III athlete, and I want Millsaps athletes to also have a great experience. I have always been engaged in student development and wellness in my roles at Dartmouth. I have been able to invest in student athletes’ athletic, academic and social well being. I believe when athletes are well that they perform better. New buildings and playing fields are great, but I also want to make sure we are investing in our athletes well-being and development as leaders for life. P&W: What is the first thing you’ll do upon arrival to Jackson and Millsaps? DB: The first thing I will do is to start listening. There’s excellence happening all over campus and I would like to find out more about it. Being new to the community I am really interested in hearing from campus partners and students, building relationships, gathering insight and ideas before making any critical decisions.